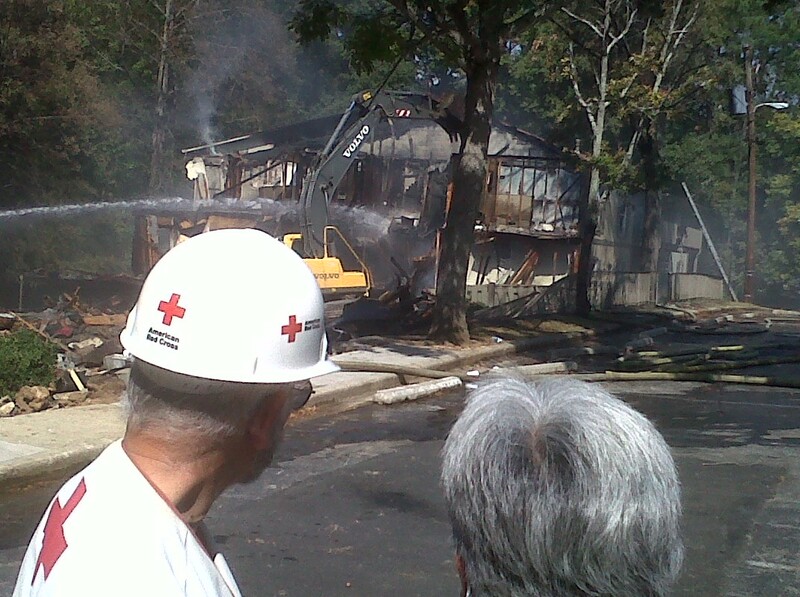 While most Georgians basked in the glow of the holidays during the final weeks of 2011, Atlanta Red Cross volunteers were responding to 35 disaster calls, mostly single family house fires, over the two-week period from December 19 – January 1. More than 70 volunteers crawled out of their beds and left their families to assist 45 families in need of help. Assistance was provided to over 150 individuals in eight metro counties. Red Cross aid came in the form of temporary lodging, food, clothing, winter coats, and medical needs. One of the largest fires, which occurred at the Regency Square Apartments in Smyrna, displaced a total of 27 people, all of whom were helped by the Atlanta Red Cross.